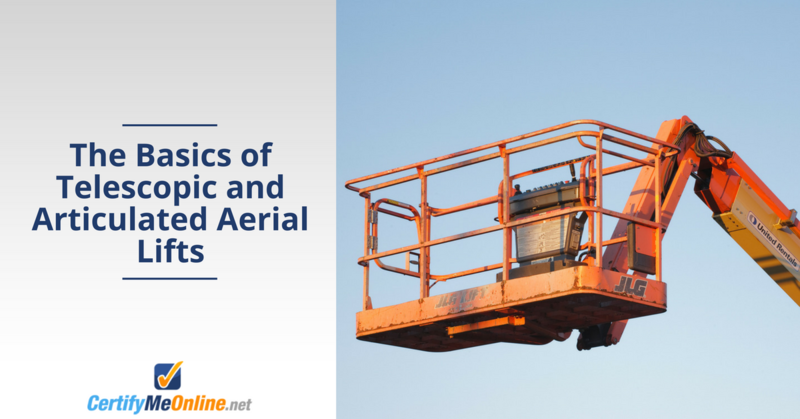 This entry was posted in Aerial Lift Training on December 31, 2013 by admin. Mention a stolen vehicle, and most everyone would immediately envision a speeding car fleeing the cops, or maybe a family sedan from the mall parking lot that just happened to have the keys in the ignition. Few think of a slow-moving forklift leaving an empty warehouse parking lot – but that’s exactly what happened in Ulster, Northern Ireland. For forklift operators and owners, this recent heist in the UK offers some security tips. In this unusual theft, a JCB forklift was taken from a site at Mornington Development, Ballinderry Road in Lisburn. Police in Lisburn say that there have been a number of building and agricultural plant thefts over recent weeks, with the forklift being the latest item of significant value stolen. Why would someone want a forklift? After all, many forklifts have unique serial numbers that could be tracked down. One reason would be for the parts. Forklift parts (especially large models like JCB lifts) have substantial value. A thief could conceivably strip the forklift of useful parts for scrap value. Or, the lift could be stolen as an act of vengeance. Whatever the reason, now is great time to evaluate your particular workplace security from a forklift standpoint. Invest in a security system – this helps prevent theft and vandalism. 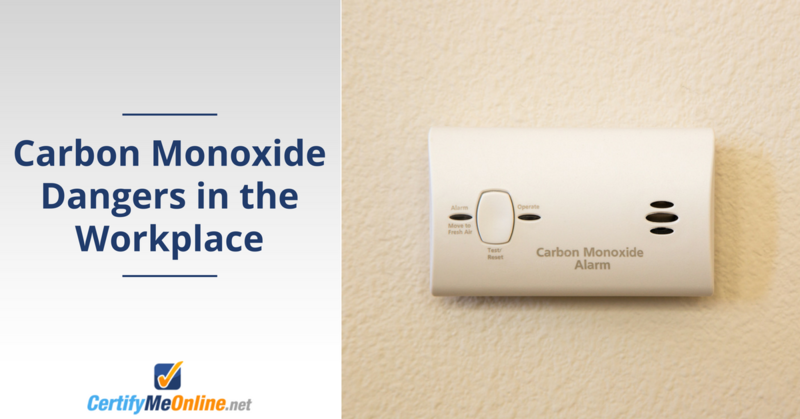 Plus, subscribing to a security service can help reduce monthly insurance costs. Install perimeter cameras – even if equipment is taken, the bad guys will be caught in the act. Employ a security guard – this is an option many medium to large-business owners use to secure their property and equipment (including forklifts). Remember, crime never takes a day off. 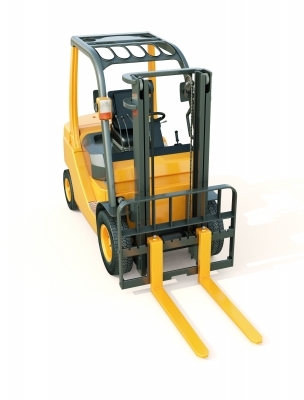 Take some time to enhance your forklift security protocols. You may avoid the headaches that the Mornington Development site went through. This entry was posted in Aerial Lift Certification, Aerial Lift Training, Scissor Lift Training on December 16, 2013 by admin. The unveiling of New York’s Rockefeller Center Christmas tree is an iconic prelude to the holiday season. And the latest celebration can thank a forklift of sorts for making it all possible. A Genie S-85 telescopic boom helped install the famous Midtown Manhattan Christmas tree earlier this month. An American tradition since 1933, the Rockefeller Center Christmas tree of 2013 took the form of a massive, majestic 76-foot Norway spruce. Genie dealer Tri Lift supplied the boom, which enabled the rigging crew to place the necessary guy wires after a large crane raised tree on November 8th. The guy wires add essential support to the huge Christmas tree. Forklift work doesn’t usually receive the spotlight, but this particular instance put one forklift firmly in focus. The high-profile Rockefeller Christmas tree was unveiled on December 4th. Ratings for the show, hosted by NBC’s “The Today Show,” hit a seven-year high. The show averaged 9.9 million viewers, the highest since 2006. But even the raising of the tree gained an enthusiastic viewership on November 8th. The boom had to leave Tri Lift’s yard in Connecticut at 3:30 AM the morning of the installation in order to arrive in Rockefeller Plaza by 5:30 AM. The driver had to wait for the crews to finish installing the tree, then immediately drive the lift back to Connecticut. “It was certainly not one of our standard rentals, but it was a great opportunity for us to be a part of something so high-profile and meaningful to people here and throughout the country,” Tri Lift manager Mike Degennaro said. 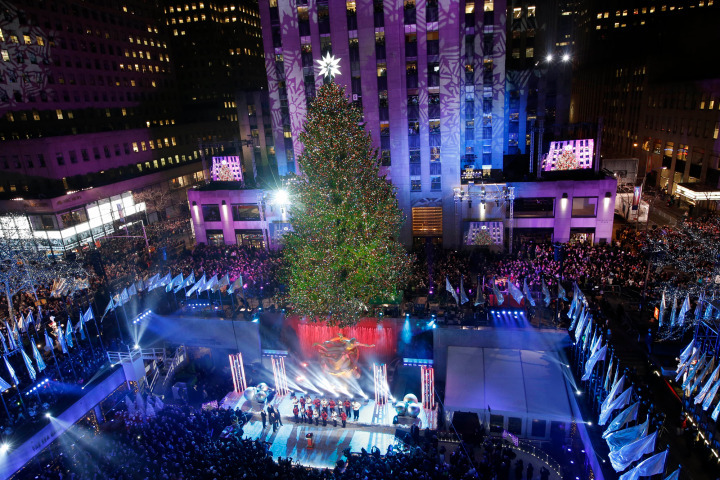 The tree raising was streamed live on a New York City television station’s website. Everybody at Tri Lift spent most of the day watching the coverage on their computers in their offices. So a month before the big show, a small segment of the forklift industry enjoyed their unique contribution to the holiday season. “It made us all feel like we were really a part of it all,” Degennaro said. For more information on this story, read the article at Better Roads. This entry was posted in Aerial Lift Training on December 9, 2013 by admin.